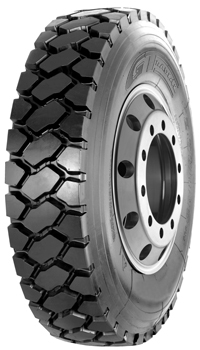 Heavy duty off/on road tire. Is your vehicle a dump truck? Is it within 300 hp? Are your single trips usually within 50 km? During single trips, are harsh road conditions such as gravel, muddy, and mining roads longer than 10 km? Is your vehicle frequently overloaded? Is your vehicle usually over 50% of the specified weight? When carrying full loads, is the average speed of your vehicle less than 50 km/h? Enter your email address to receive exciting GT Radial updates, promotions, exclusive offers, and more!